I read this article and found it very interesting, thought it might be something for you. The article is called Restaurant Review: Roberta’s and is located at https://www.totallydublin.ie/food-drink/restaurants/restaurant-review-robertas/. Eating in a beautiful restaurant is always a pleasure and Roberta’s, the latest release from the Press Up stable, is a true beauty. Press Up Entertainment Group, owned and run by Paddy McKillen Jnr and Matt Ryan, is responsible for some of the more aesthetically pleasing places to hang out in our city. From The Dean Hotel to Angelina’s to WowBurger, their growing collection of restaurants, bars and hotels always look slick. Their long-time collaborators, the Interior Architecture and Design team at O Donnell O Neill Design (ooda.ie) can take a lot of credit for that. 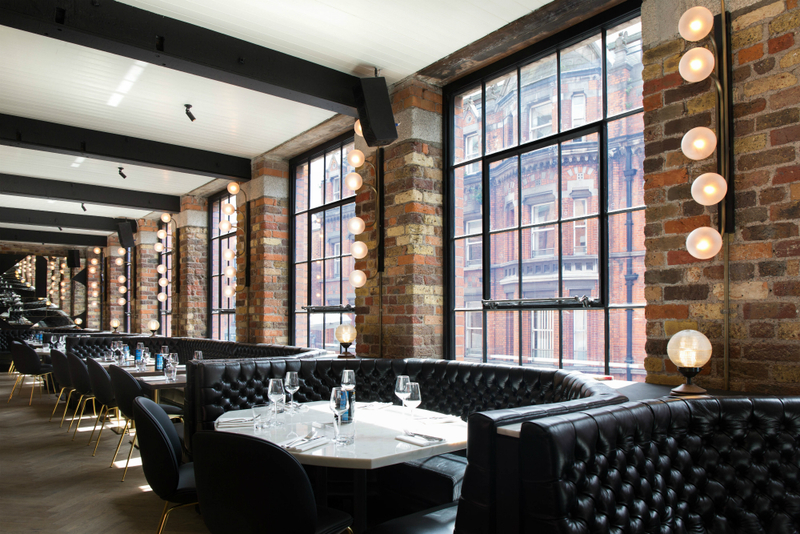 That style also comes from the company’s ability to invest in spaces such as the home of Roberta’s, a whole floor of a restored Georgian building on the quays. 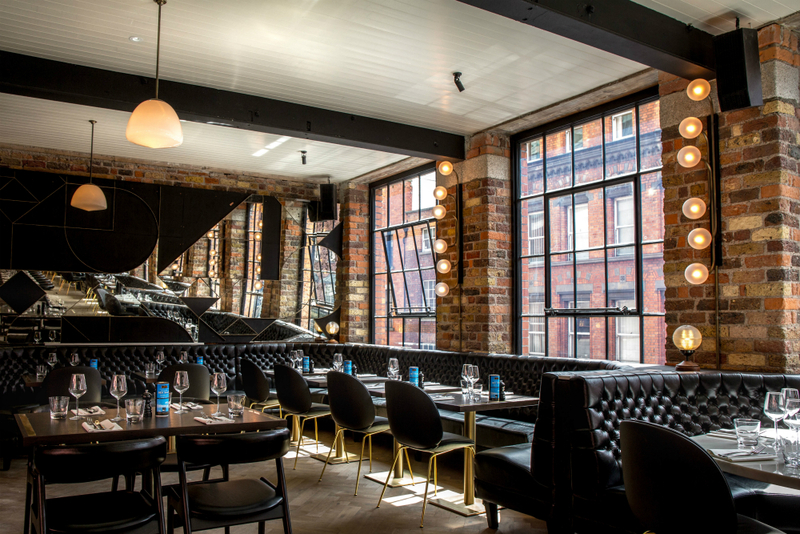 One side of the dining area, all banquettes and booths, looks out over Temple Bar while on the other side, smart tables have hard-to-beat views of Grattan Bridge and The Liffey. 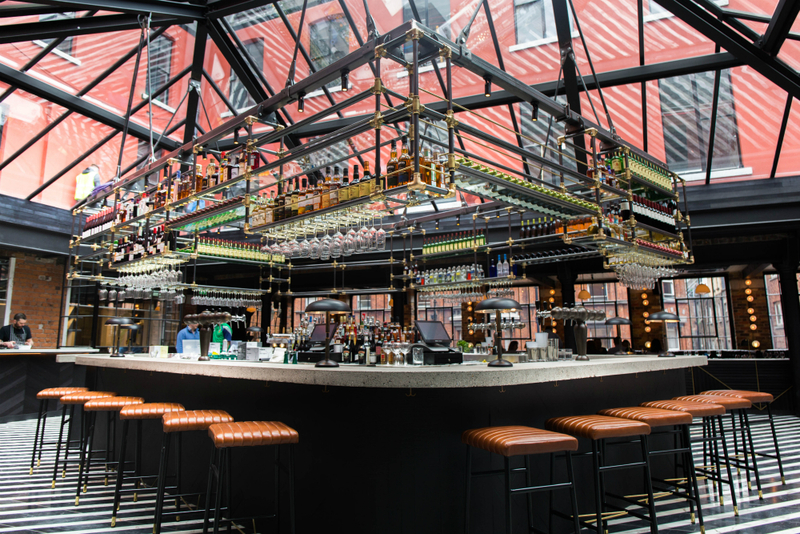 The centrepiece of the space is a phenomenal concrete-topped bar that sits under a stunning atrium. It’s a supremely handsome space, and it’s just phase one of Press Up’s plans for this entire building. They’re currently redeveloping the first floor to create Dollard & Co, a luxury grocery store complete with casual dining choices, a food hall, and butcher, fish and cheese counters. Back upstairs at Roberta’s, a couple of weeks after opening night, we go light and hard with our menu choices. A crab and pink grapefruit salad starter (€14) is pretty, delicate and delish while a clam and brown shrimp linguine main (€23) is really well balanced with smoked butter and chervil. They’re both lovely dishes. On the hard side are a bowl of potstickers (€12), which feature a light pastry dumpling stuffed with juicy slow-cooked oxtail. They’re whopper but they’re in danger of being drowned in a sweet soy sauce which makes the overall experience too salty. I’m not sure if the famous Bushwick pizza place in New York, also called Roberta’s, was one of the inspirations for this spot but there is certainly a wood-fired pizza oven blazing away under the atrium. A Skeaghanore duck pizza with hazelnut béchamel (€16) sounds super interesting on the menu but it doesn’t quite work in reality. It’s possible that canarde was not destined for pizza, certainly not the delicate slivers of smoked breast that sit uncomfortably on top of the pizza slices. The pulled duck meat that coats the pizza slices, however, works very well. The hazelnut béchamel doesn’t make an impression though surely there’s clearly potential in that combination. An ice cream sundae (€7) is adequate yet unremarkable whereas a caramelised pineapple upside down cake (€8) and pineapple sorbet is a delightful dessert, a really well executed take on an old favourite. Roberta’s has style in spades and plenty of substance in the kitchen. The menu appears to be pitched at suiting a wide range of palates and tastes, accommodating simple eaters while providing a bit of excitement for the more adventurous diners. This is something that Press Up do across the board, and they do it very well. The food identity in the early days we visited weren’t quite matching up to the strength of the space. Is it a pizza place, or a sophisticated Italian, or an New York inspired upmarket grill? Our server, Rafa, is utterly charming and the experience of being in Roberta’s is a rejuvenating one. It’s a beautiful space to be in which facilitates a thoroughly enjoyable dining experience. My dinner choices didn’t quite woo me but I was completely won over by Roberta’s looks.